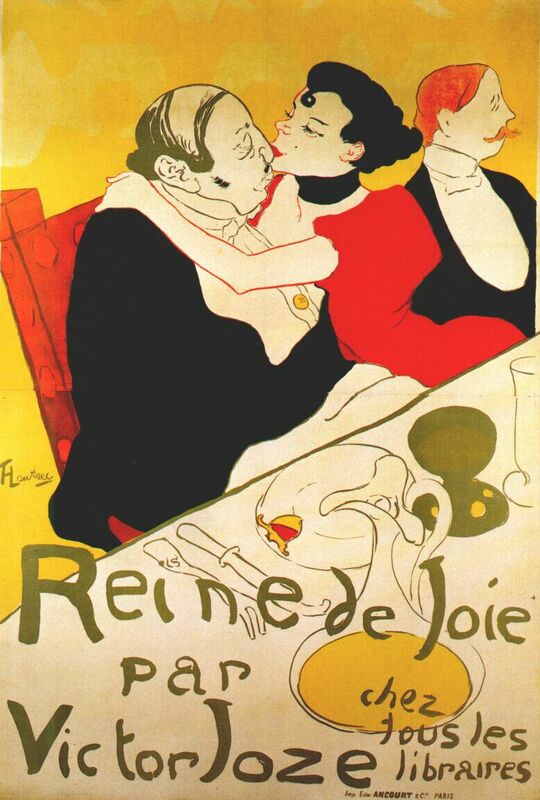 Poster for ‘Gismonda’, 1894. Colour lithograph, 216 x 74.2 cm. Mucha Foundation, Prague. Sarah Bernhardt fell in love immediately. Not with the artist (was it due to his lifeofbrianesque appearance?) but with their newly born child: the “Mucha Style”. And on New Year’s Day, Paris followed. Sarah Bernhardt signed him on the spot, and Mucha became the greatest artist the Czech Republic has ever seen. But what made his Gismonda-poster an artistic revolution? A lot of scrolling, huh? Sarah Bernhardt for instance was not a but the definite drama queen. Unlike so many of his models, Mucha did not try to bring out her seductive side (the hair, with Mucha, always check the hair first! ), but rather the almost arrogant dignity, the narcissism, the “Ain’t none o’ y’all better, and that’s exactly why you want to watch me play,” of a real starlet. Do we know what the play is about? Who cares! Here’s my money; where do I get the ticket?